My very first book on Alpines was a revised edition of a 'Collins Guide' by Anna N. Griffith, which was first published in 1964. The Encyclopaedia of Alpines (AGS 1994) does include the plant and comments that it is a most attractive plant that has been strangely neglected by growers. Silene Caroliniana var "Red Wherry"has a long flowering period with me, usually from May until early July, the loose domes are covered with brick red typical campion flowers. This native of S.E. USA favours rocky places with well drained gravelly, sandy soils and so the rock garden or a raised-bed is the ideal garden situation. Like many North American alpines it appreciates excellent light and plenty of sunshine. 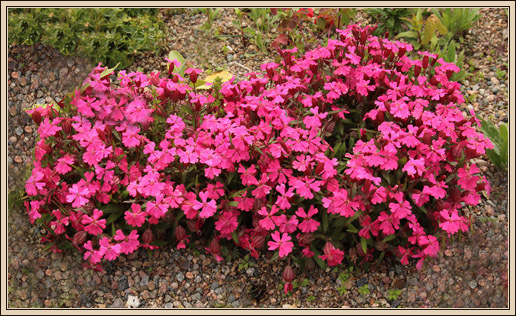 A profuse amount of seed is reliably produced and is ripe to sow in early August, I sow the seed immediately and the resulting seedlings are ready for pricking out in September, resulting in plants which will flower the following year. Self- sown seedlings also appear from time to time in my raised beds. While individual plants reach only 10/12 cm in diameter, I often plant several plants together which results in a clump of vibrant colour which stands out in the garden. 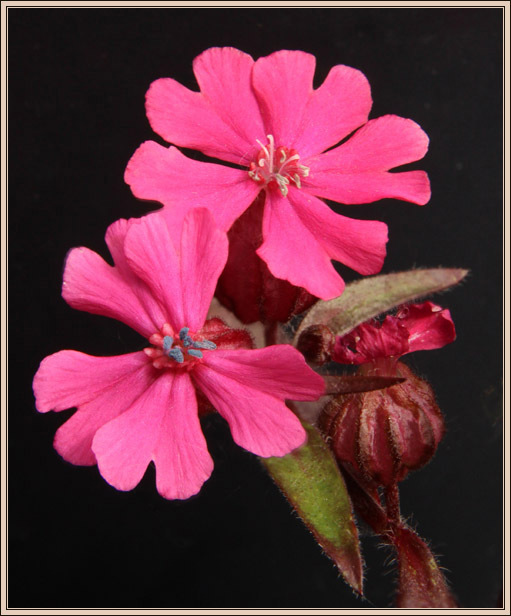 This Silene is perfectly hardy and over winters well in my garden; however I often treat it as a annual as younger plants tend to flower more profusely . The variety "Red Wherry" is reputed to have larger flowers. In recent years seed is available from SRGC and AGS seed lists .